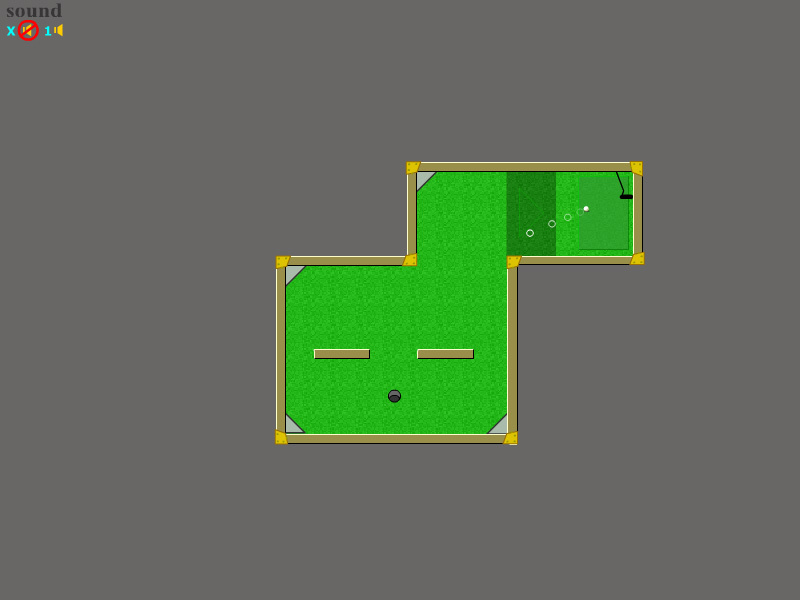 "Mini Golf" is a small online game about the golf sport. Use the mouse to point the direction of the ball and the power of the shot. Free online game. Sports learning game. 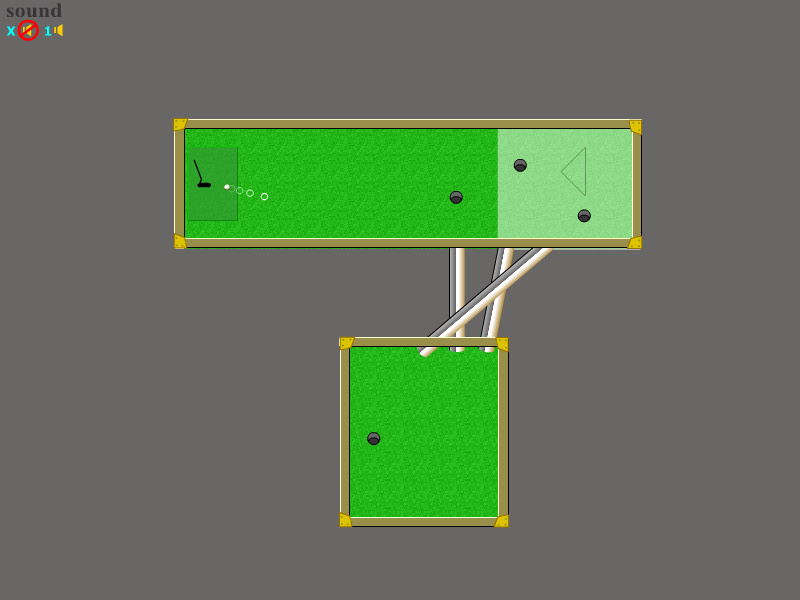 How to play Mini Golf. This is a classic sport game made by Psychogoldfish. Use the mouse to point the direction of the ball and the power of the shot.Put the ball in the hole. Detailed rules of the real golf sport are described in the Class subjects section. Golf is a club-and-ball sport in which players use various clubs to hit balls into a series of holes on a course in as few strokes as possible. Golf, unlike most ball games, cannot and does not utilize a standardized playing area, and coping with the varied terrains encountered on different courses is a key part of the game. The game at the usual level is played on a course with an arranged progression of 18 holes, though recreational courses can be smaller, often having 9 holes. Each hole on the course must contain a tee box to start from, and a putting green containing the actual hole or cup (4.25 inches in diameter). There are other standard forms of terrain in between, such as the fairway, rough (long grass), bunkers (or "sand traps"), and various hazards (water, rocks) but each hole on a course is unique in its specific layout and arrangement. Golf is played for the lowest number of strokes by an individual, known as stroke play, or the lowest score on the most individual holes in a complete round by an individual or team, known as match play. Stroke play is the most commonly seen format at all levels, but most especially at the elite level. The modern game of golf originated in 15th century Scotland. The 18-hole round was created at the Old Course at St Andrews in 1764. Golf's first major, and the world's oldest tournament in existence, is The Open Championship, also known as the British Open, which was first played in 1860 in Ayrshire, Scotland. This is one of the four major championships in men's professional golf, the other three being played in the United States: The Masters, the U.S. Open, and the PGA Championship.